Hotels > Asia > Thailand > Chiang Dao > Baan 2 Dao Farmstay. Baan 2 Dao Farmstay. is perfectly located for both business and leisure guests in Chiang Dao. The property features a wide range of facilities to make your stay a pleasant experience. Service-minded staff will welcome and guide you at the Baan 2 Dao Farmstay.. Guestrooms are designed to provide an optimal level of comfort with welcoming decor and some offering convenient amenities like wake-up service, balcony/terrace, fan, toiletries, shower. Take a break from a long day and make use of water sports (non-motorized). Baan 2 Dao Farmstay. 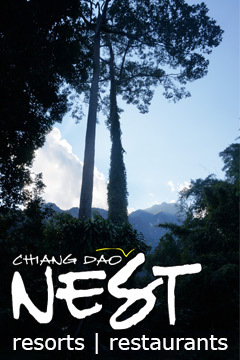 is an excellent choice from which to explore Chiang Dao or to simply relax and rejuvenate. Baan 2 Dao Farmstay. - Chiang Dao classifies itself as a 2 star hotel.